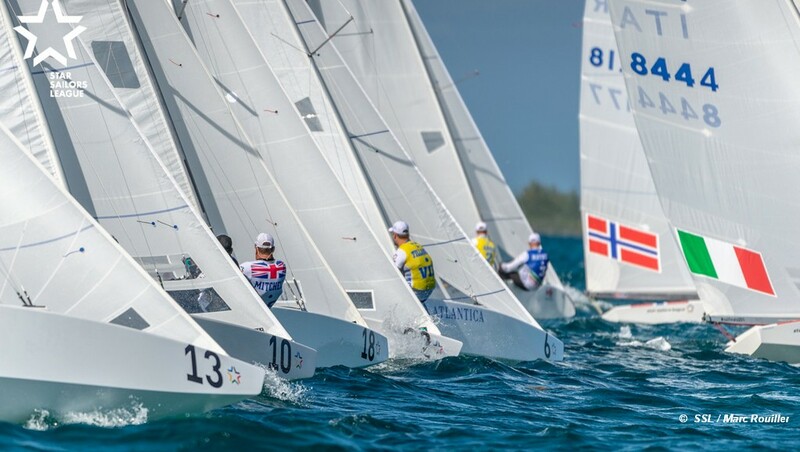 Final day of qualification Star Sailors League Final in Nassau, Bahamas, and Robert Scheidt and Henry Boening nailed their place in the final with a 1, 7, 1, 1, scoreline. Mark Mendelblatt and Brian Fatih (5,10,21,3) finished the day in second and go through to the semi-final round, and wait to see who joins them from the quarter final knock-out series. Only other race winner on Friday was Star escapologist, Paul Cayard with Arthur Lopes, dragging themselves up from 14th place to finish the day in 7th and in the quarter final knock-out series. Cayard with Lopes join seven others from the top ten to fight fora place in the semi-final round. Among the might-have been, were Lars Grael and Samuel Gonçalves, with two race wins in the bag, who dropped from a safe seventh to 11th and out of contention. Back on the water Friday were Iain Percy and Anders Ekström, despite missing the first two days of racing. They sailed the final four races for a 9, 6, 6, 6, scoreline and a 22nd place out of 25, a pretty good score in the circumstances. Pity business interrupted their series, but then America’s Cup business is about the only thing that would drag Percy away from his Star sailing.